Carl Froch (33-2, 24koes) retained his WBA and IBF World super-middleweight titles against challenger George Groves (19-2, 15koes) for the second time last night, May 31. Victory came with a spectacular and conclusive finish that left no room for doubt, or debate, unlike the controversial finish to their first match last year. Fighting in front of a post WW2 record-breaking crowd of 80,000, at London’s Wembley Stadium, Froch produced the kind of performance, which the great champions are able to pull out when the chips are down, and the odds seem to be stacked against them. 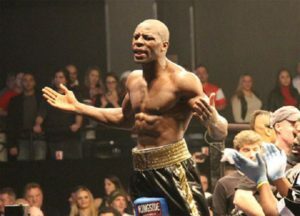 After being written off by many in the run up to this rematch, with everything from his age, technical deficiencies, to his trainer, being analysed in a negative light, ’The Cobra’ struck back last night to prove all his doubters wrong, and underline once and for all what an outstanding fighter he truly is. Britain may have produced cleverer, faster, and more athletically gifted boxers than Froch in the past, but there have been few fighters from this country who have been better warriors than ’The Cobra’, in the post WW2 years. Carl Froch has a toughness and warrior mentality that renders things, like superior speed and technique, obsolete. 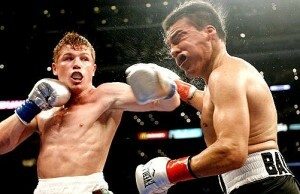 Both fighters entered the ring to the kind of fanfare that seems to be almost obligatory at big occasions such as this. While Froch’s entrance seemed well balanced, the challenger Groves journey to the ring, (which included an old-fashioned double decker London bus) seemed to be over long, and possibly draining. 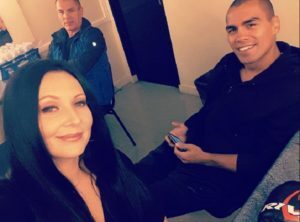 There had been some talk in the run up to Saturday’s match that Groves, acting as his own manager and promoter, was spreading himself too thin. Today, only Groves will know the answer as to whether all the meetings and public appearances had any bearing upon his performance last night, but one thing for certain is that Froch prepared for this fight with a monkish focus and dedication, and the result of this was clear in his performance on the night. Whereas, Froch fought the first fight against Groves with the harassed and frantic air of a desperate man, last night, he had a focus and a serenity, which never totally left him, even during the challenger’s best moments of the night. The fight began accompanied by the roar of 80,000 fans; a sound that few modern day fighters will ever experience. If the fans were anticipating a 1st round explosion, similar to that seen in the first clash between these two men, then they were in for a disappointment, as each boxer started out cautiously, circling each other, and working behind the jab. Groves had stated in the run up to this fight that he would win the rematch by a 3rd round knockout, but he started much more cautiously than he had last November, concentrating on landing his spearing left jab, and barely throwing the right hand, which had Froch down in the 1st round of their first fight. Meanwhile, Froch was cautious, yet, already noticeably sharper than he had been in the previous meeting, and crucially this time, instead of blindly going after the challenger from the start, ’The Cobra’ was working his own jab. Yet, Groves still edged the opening round as his own jabs landed quicker and cleaner than the champion’s did. As the second round began to unfold, it became clear that this rematch was following the pattern of many such rematches of the past, where, despite all of the well-publicized dislike between the two fighters, both men were taking into the ring a healthy amount of respect for the others fighting prowess, and boxing a cautious, technical fight. At one point, a clinch resulted in an exchange of rabbit punches, before Groves was forcibly pushed to the floor by the champion. Froch was warned by the referee, Charlie Fitch, but had shown his challenger that he is going to be the boss in the ring this time. It is an almost insignificant incident, but at the start of a contest of intense physicality, such incidences can prove important. The action continued and Froch’s jab was already working far better than at anytime during the pairs first encounter. Groves, still edging the round with his own left-hand, which was faster and more frequent, but Froch, his chin tucked into his chest, and his right hand up as a guard, rides and blocks a good many of Groves punches. Groves sealed the round by landing a good left hook near the round’s end, but this was developing into a technical joust for the purist, rather than the kind of barnburner that many were hoping to see. The 3rd round unfolds in much the same way as the first two stanza’s, with both men fencing with their jabs, and daring the other to make the first move, which could be turned into a mistake. The crowd at this point began to boo, indicating that like many such crowds, it was made up more of people looking for a night’s entertainment, rather than a night of good boxing. As if in reply to the audience’s displeasure, Froch, always the crowd-pleaser, though too often unappreciated, launched forward, and landed a left-right combination upon Groves, who replied with punches of his own. It is the first real explosion of the fight and the audience, in all their fickleness, responded with a roar. Both men go back to their jabs, and Froch’s left is visibly upsetting the rhythm of his challenger, while Groves’ jab has reddened ‘The Cobra‘s generous nose. There was no sign of Groves even attempting to fulfil his pre-fight prediction of a 3rd round knockout, and although he might have won his third round in a row, he is edging the opening rounds, rather than dominating them, and this is not the ideal strategy against a slow starter such as Froch. After all of the talk about Groves needing to pace himself for 12 rounds and box, rather than brawl this time round, the challenger had perhaps held back too much in these opening rounds and allowed Froch to fight at his own pace and work himself into the match. Froch was visibly more relaxed in the 4th round, as if conscious that the fight is following a different pattern to the one last November, a pattern that is favouring him. Groves was not putting enough pressure onto the champion, and in this round begins to find himself under more pressure himself as ’The Cobra’ begins to dominate the centre of the ring, and is out-jabbing his challenger for much of the round. Groves skirts the outside of the ring pot-shotting, while there was a better flow about the champion’s work. Groves returned to his corner at the end of the round with a look of frustration about him. Groves started the 5th round with two stabbing lefts, which fail to land clearly. Froch landed a good right hand and a left hook, which drove Groves into a corner, where he landed some punches to Groves’s body, before the challenger fought his way out. Groves retaliated with punches of his own, but took a combination to the body and the action heats up. Both men exchange right hands towards the end of the round, but it is Froch who has held his ground in the centre of the ring, while Groves was forced to manoeuvre around him. In the 6th round, Froch seemed to taking control of the match. Starting the round fast, he drove his challenger into the ropes with a left-right to the head, then switches to the body. Moving back into the middle of the ring, the two exchanged jabs, with both falling a little short of the target. The last forty seconds of the round found Groves driven onto the ropes twice by Froch attacks, as the champion finished the round on the front foot. The challenger came out for the 7th round with more purpose, landing a good jab and then, moments later, a straight left that drove Froch back onto his heels. The champion looked momentarily shaken as Groves threw the left hand now with more venom, catching Froch flush. Another left, later in the round, provoked Froch to drive his challenger into the ropes, where he unleashed a two-fisted attack upon Groves’ body, but it is the challenger’s round, just at the point where it looked as if Froch was in command of the fight. Groves tried to carry over his good work of the previous round in the 8th, as he was noticeably more aggressive and continued to fire his jabs with increased intent. Froch looked a little ragged, as Groves tagged him with jabs, and the occasional right hand. However, the champion stood his ground, while at the same time, not retaliating recklessly. Groves looked more and more confident as the round progressed, as Froch continued to march forward, taking shots, but landing some good body shots of his own. Most crucially perhaps, Froch was still keeping the centre of the ring. With thirty seconds left in the round, as Groves is maneuvered into the ropes, Froch threw a right hand over a Groves’ left hook, and connected to the side of the challenger’s jaw. It was as potent a single punch as you will ever see, and Groves was out before he landed flat on his back upon the canvas, with his left leg twisted grotesquely underneath him. Referee Charlie Fitch, who proved to be a good pick for the third man in the ring, waved the fight off without a count. Somehow, Groves, his fighting instincts impressively strong until the last, dragged himself upright, but only to fall onto the referee, then stagger into his own corner, where he collapsed into the arms of his trainer Paddy Fitzpatrick. It was all over for the challenger. Meanwhile, Froch was being held aloft by his brother and acclaimed by the crowd, his destiny fulfilled, and his legacy as one of Britain’s greatest modern day boxers assured. It was the kind of explosive ending, that would satisfy any crowd of 80,000, and there were no controversies or doubts left this time. After the fight, both boxers proved that despite their much-publicized acrimony, each retains the class of true sportsmanship. There were no excuses from George Groves, and Froch praised his challenger, while citing his victory as the greatest of his career. 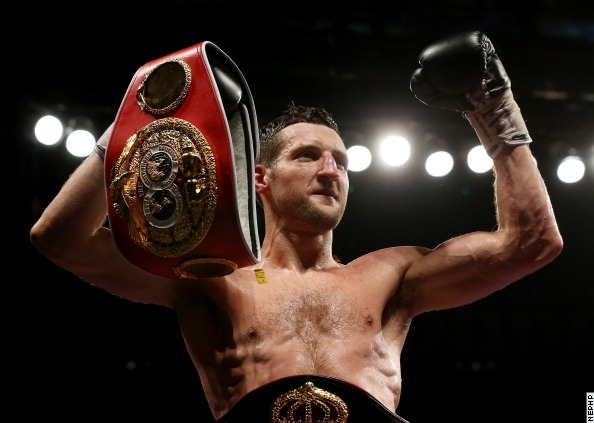 With the challenge of George Groves behind him, Carl Froch can pick his own path from here. Although another domestic challenge, in the shape of James Degale, seems to be looming, ’The Cobra’ may choose to travel to America and Las Vegas, to end his career in a multimillion dollar showdown with someone such as Andre Ward, Julio Cesar Chavez Jr., or perhaps Gennady Golovkin. For George Groves, last nights defeat will be a bitter pill to swallow, especially in light of the pre-fight talk and predictions, which seemed to be as much as a burden to him in the rematch, as they were a help in the first fight. 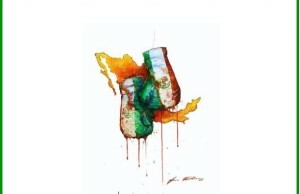 Defeats such as these usually prove to be either the making or the breaking of a young fighter. Groves certainly has the talent to move on from here, but may have to learn some hard lessons from this defeat if he is to fulfill his potential in the future. The night belonged to ’The Cobra’ who showed a crowd of 80,000 (and millions more on TV) what it takes to be a true champion.